Rongtao Li has completed her PhD at Kunming Institute of Botany, Chinese Academy of Science in 2004. 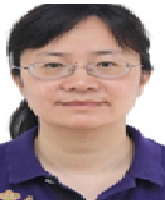 She is the full professor, vice dean of the Faculty of Life Science and Technology, and Director of Natural Products Research Laboratories, Kunming University of Science and Technology. She has been awarded several prizes conferred by national, CAS, provincial, or ministerial authorities, including the “First Outstanding Prize of Natural Science of Yunnan province”, the “National Excellent Doctoral Dissertation of P.R. China”, the “New Century Excellent Talents on University”, and the “Young Academic and Technical Leader of Yunnan Province”. She has published 12 patents, and over 150 scientific papers. Dr. Alireza Heidari, Ph.D., D.Sc. is a Postdoctoral Research Fellow in Chemistry. He has got his Ph.D. and D.Sc. degrees form California South University (CSU), Irvine, California, USA. Furthermore, he has double postdocs in Project Management and also in Nanochemistry and Molecular Structure Theory. He has participated at more than one hundred reputed international conferences, seminars, congresses, symposiums and forums around the world as yet. Also, he possesses many published articles in Science Citation Index (SCI)/International Scientific Indexing (ISI) Journals.he is a member of more than two hundreds reputed international academic–scientific–research institutes around the world. It should be noted that he is currently the President of American International Standards Institute (AISI), Irvine, California, USA. 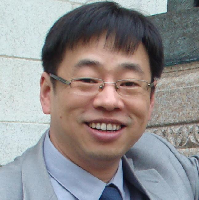 Prof. Wei Wang has completed his PhD from Peking University and postdoctoral studies from National Center for Natural Products Research, University of Mississippi. He is the director of TCM and Ethnomedicine Innovation & Development Laboratory, Hunan University of Chinese. He has published more than 100 papers in peer-reviewed journals and has been serving as editorial board members for 6 international journals. Dr. Xu is a professor in Beijing Normal University-Hong Kong Baptist University United International College (UIC), Associate Director of UIC Key Lab -Laboratory for Health Promotion Mechanism of Medicinal Food and Folk Remedy, author of over 100 peer-reviewed papers. Dr. Xu received Ph.D in Chungnam National University, South Korea. He conducted postdoctoral research work in North Dakota State University, Purdue University, and Gerald P. Murphy Cancer Foundation during 2005-2009. 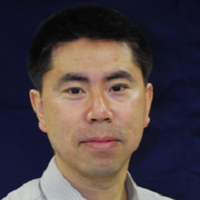 Dr. Xu is serving as Associate Editor-in-Chief of Food Science and Human Wellness, an Editorial Board member of several international journals. Health benefits (targeted at aging, cancers, obesity, and diabetes) assessment of phytochemicals from legumes, fruits, vegetables, traditional Chinese medicines through in vitro animal cell models. Cellular and molecular mechanisms of bioactive food components in disease prevention. Development of novel health promoting products. 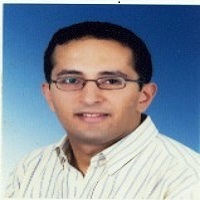 Sameh AbouZid is currently Associate Professor of Pharmacognosy at Beni-Suef University, Egypt. He obtained B.Sc. degree in Pharmaceutical Sciences from Faculty of Pharmacy, Cairo University. He obtained his M.Sc. and Ph.D. degrees from Graduate School of Pharmaceutical Sciences, The University of Tokyo. He was a postdoctoral researcher at the International Center for Chemical and Biological Sciences, under the supervision of Prof. Dr. M.I. Choudhary. 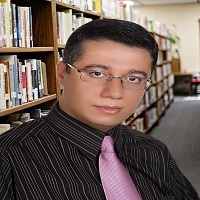 He is working as a University staff member at Faculty of Pharmacy, Beni-Suef University since March, 2005. 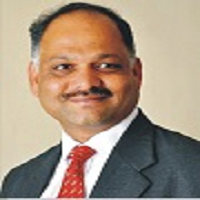 He was promoted to Associate professorship on December, 2010. 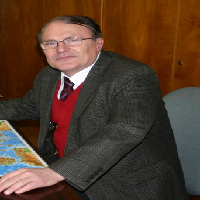 He was a visiting scholar at the laboratory of Prof. Dr. Guido Pauli, UIC on 2014. He supervised 10 master and doctoral students working in isolation, structure elucidation and testing biological activity of plant secondary metabolites.